We are excited to offer a variety of high quality housing options in the Fitzgerald neighborhood. Our partnerships with organizations like Reclaim Detroit, Detroit Employment Solution Corp, The Greening of Detroit and other Detroit-Based Organizations are focused on giving opportunities to current residents to economically participate in the revitalization of their own neighborhood. We are looking to partner with other workforce training and development organizations in Detroit with experience in equipping Detroit residents with the tools to access sustainable careers within the construction trades. With 100+ houses to revitalize, we are seeking the best builders Detroit has to offer! Our goal is to restore as much of the Fitzgerald neighborhood's housing stock as possible with Detroit-based contractors. Fitz Forward has partnered with local residents, Live 6 and the University of Detroit Mercy in previous volunteer events. 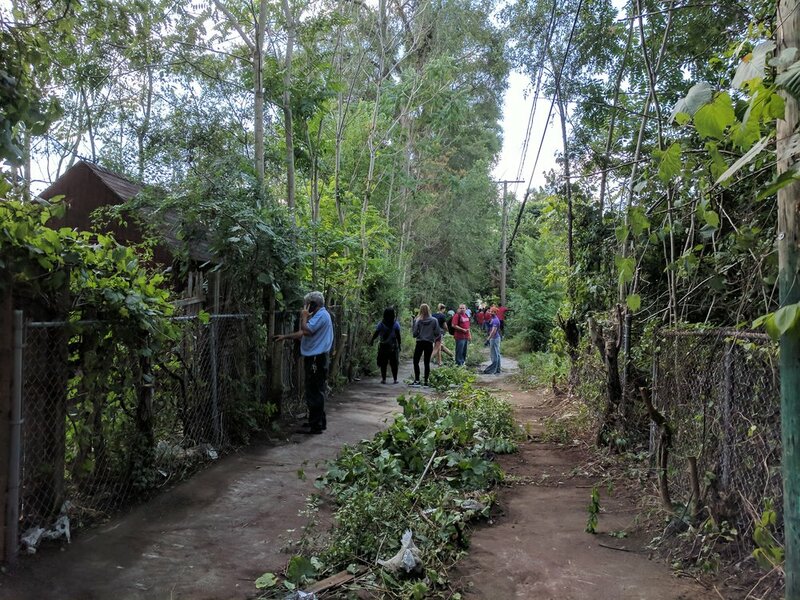 Events included cleaning neighborhood alleys and lots along with neighborhood outreach events. To get involved please reach out with the links provided below. Many thanks and congratulations to all of the submissions for the facade competition. • First Prize: "Form Fitz Function"
• Second Prize (Tie): "Fitz It Kit" and "Meadow House"